Since most of us live in smaller neighborhoods, we don't meet many pedestrians on the sidewalks. When we do, it's easy enough to cross the street and walk along the other side. 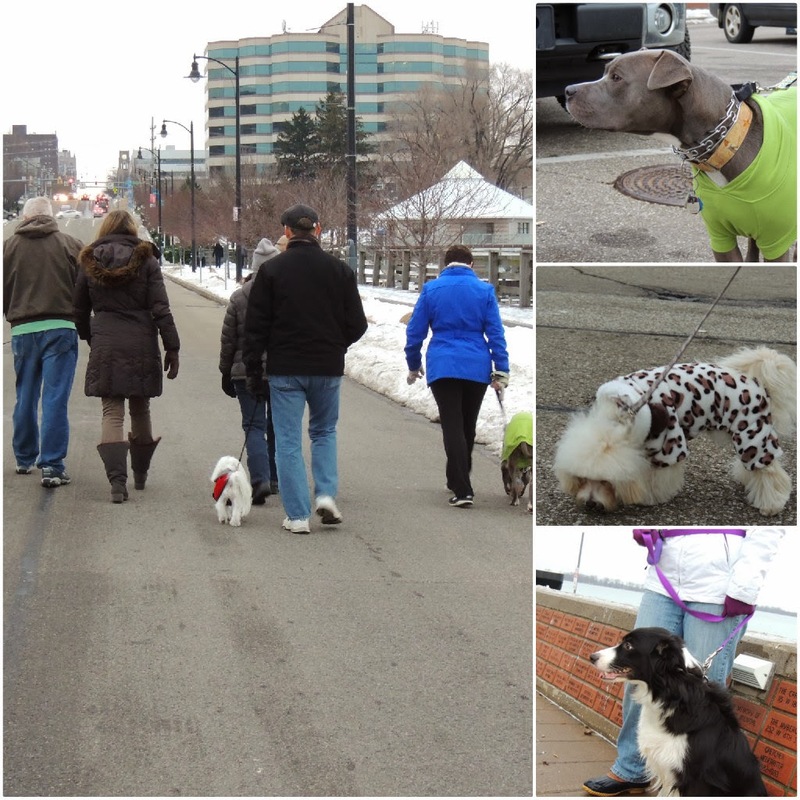 Our downtown walk has challenged us all to be a little more conscientious. We've met people on tight sidewalks along busy streets where crossing the street is not an option at that moment. 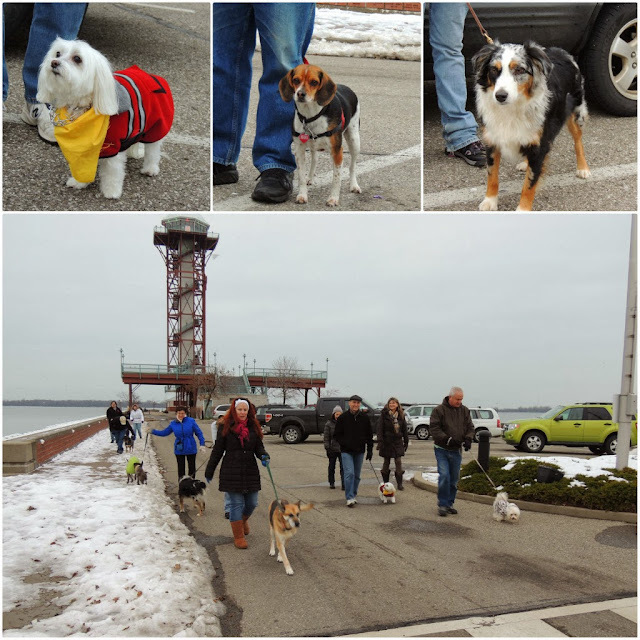 We're forced to analyze the situation and make sure that not only are our pooches comfortable, but also that our fellow Erie-ites are also comfortable with our presence downtown. After all, we are all working to become more responsible members of our community! Last week, we had our first humans-only gathering! Our friends at Mud Puppies graciously offered to let us use their training rink to set up a few tables. We BYOB'd and brought dishes to share. 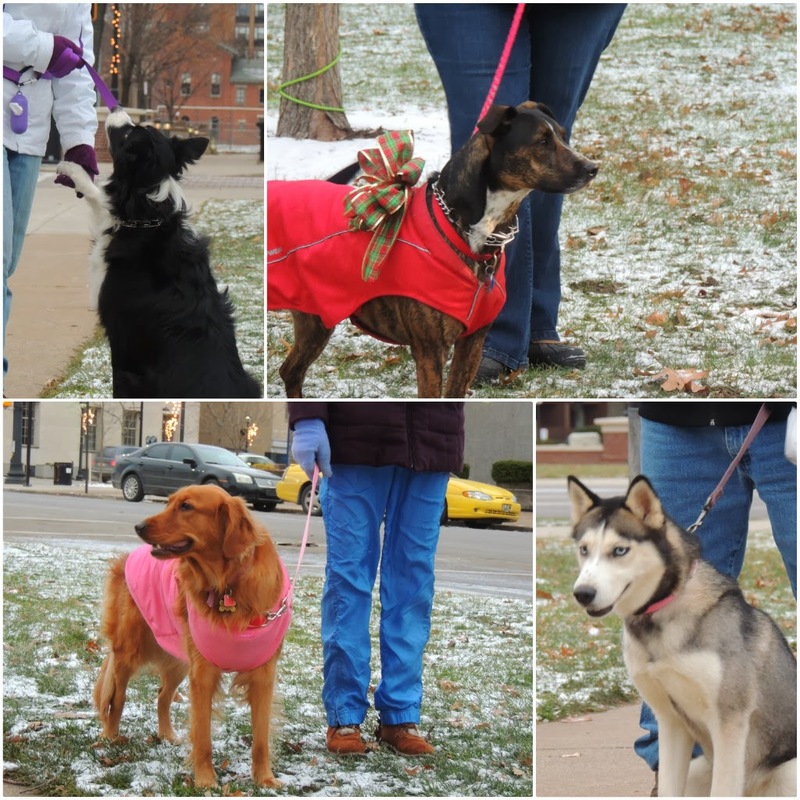 Of course, we mostly talked about what we know best -- our pooches! 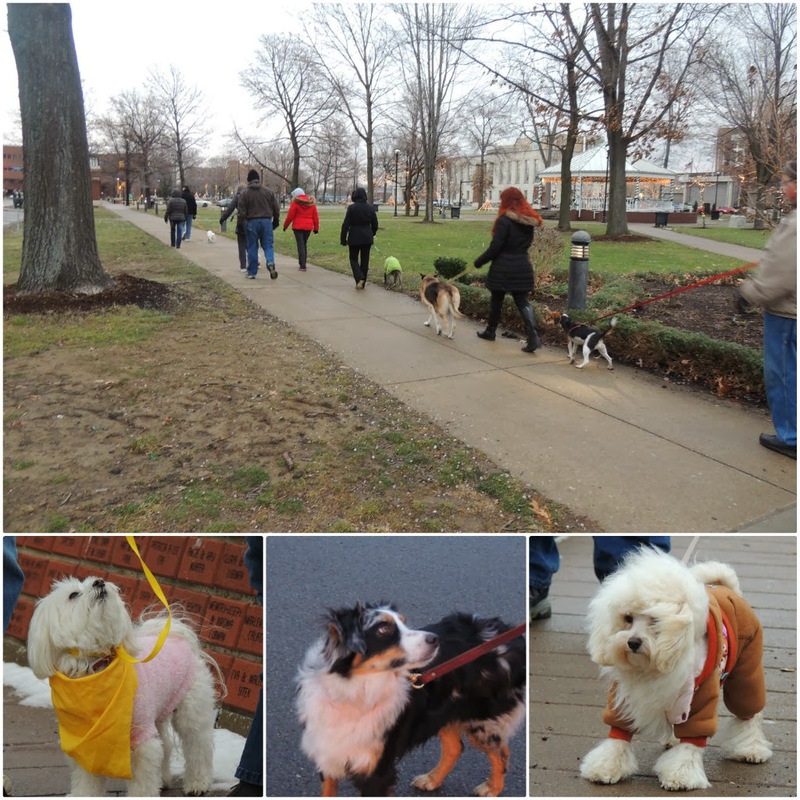 While our reactive dog owners don't get to interact during our walks, they have a lot of knowledge to share with each other. The get-together was the perfect opportunity to do so. 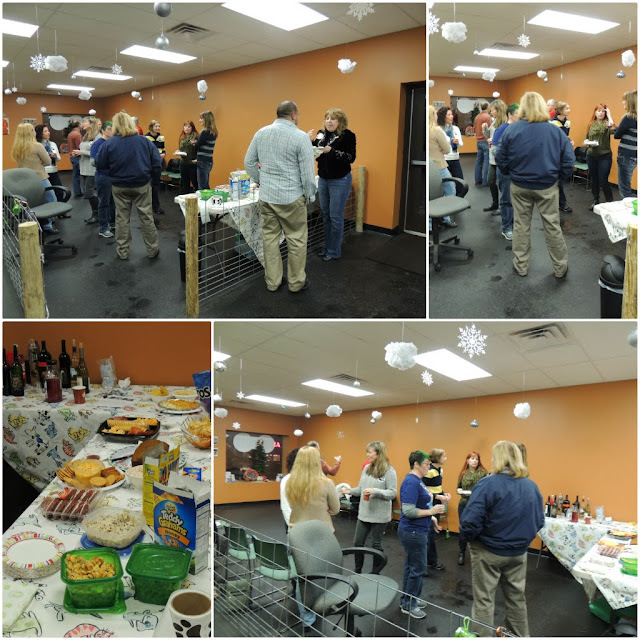 Thanks to everyone who came out and made our first gathering a success! The 4’ length is perfect because not only does it give us more control over where the pooches are, we very rarely ever used 6’ worth of leash! The extra length really just became a burden, especially since Edi is double leashed. The leash itself is soft (no hard nylon edges! ), and the handle has even extra cushion. There is also a built in traffic leash for extra control that we use very frequently. They come in 4 colors: red, purple, green, and teal. What kind of leash do you walk your pooches on? We were not compensated in any way for this post. We just like sharing products that we truly love. 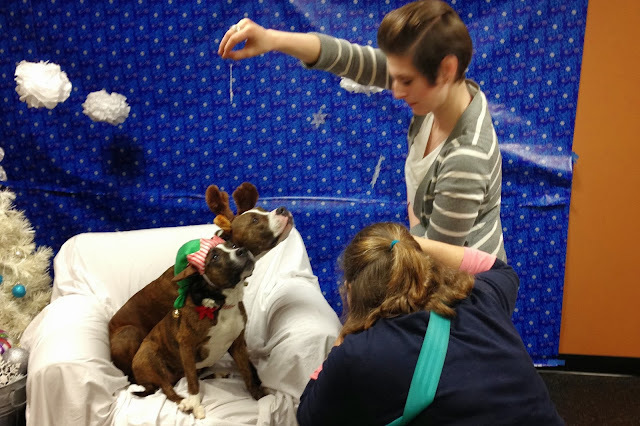 Just like last year, we took the pooches for their annual Christmas photo with Lani Harmon. 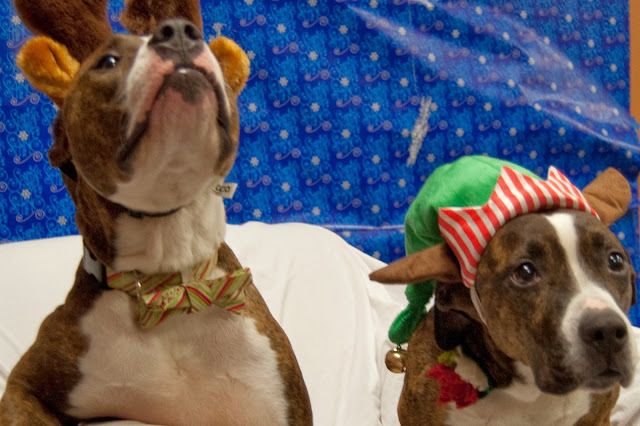 These photo shoots are always a testament to how far the pooches have come from the year before. Edison was even better than last year (if that's even possible!). And at the end of our shoot we figured out the trick to get Tesla to relax (just a little!) in front of the camera -- set up the shot and then bring your face out from behind the camera. 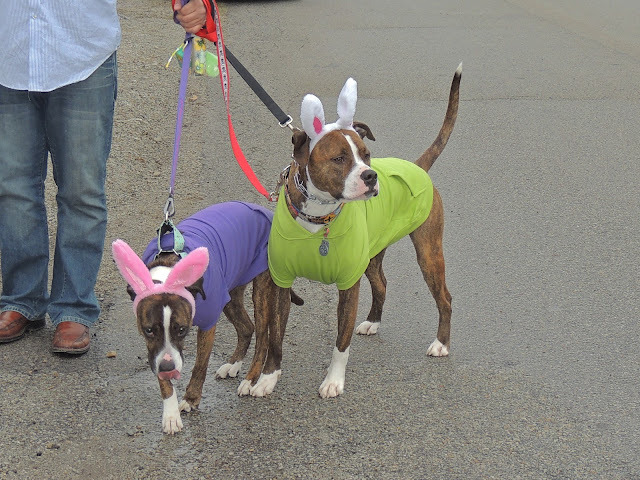 Within just a few minutes, we had the perfect photo -- with both the pooches cooperating. 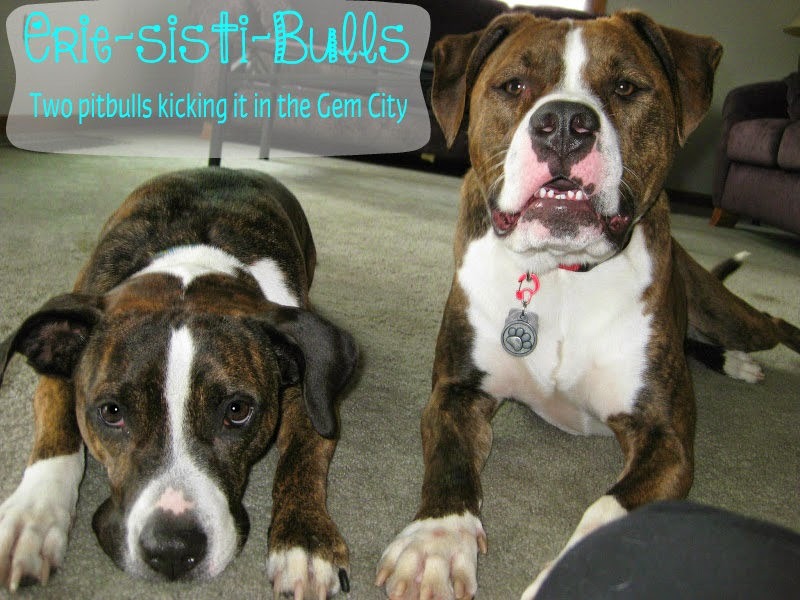 Thanks again to Lani for another great photo! Do you get your pooches' photos taken? 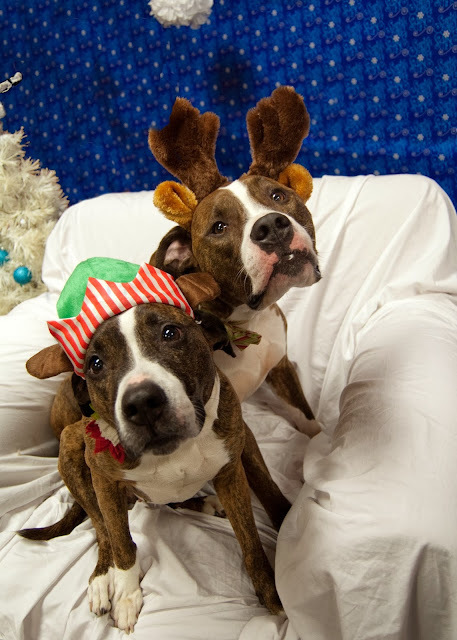 Did you do a Christmas photo? We finally cancelled our first walk due to weather issues. We've had some pretty rough walks up until now, but today was pretty nasty with several inches of snow. We didn't want anyone to have issues driving in, so we made the decision to go ahead and cancel. We did hear word that a few brave souls braved the snow and walked this week's route anyway! 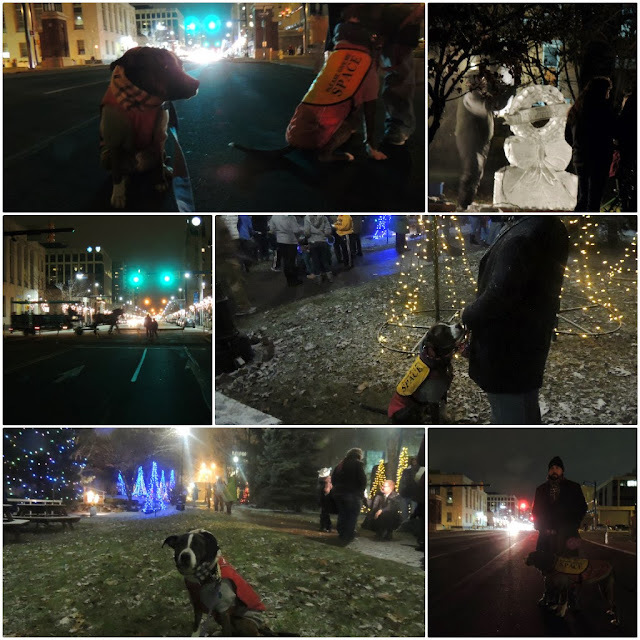 Last weekend was light up night in Erie -- Downtown D'Light! We bundled up and took the dogs downtown to enjoy our city and get in the holiday spirit. It wasn't warm, by any means, but we had a great time listening to carols and watching the city light up. 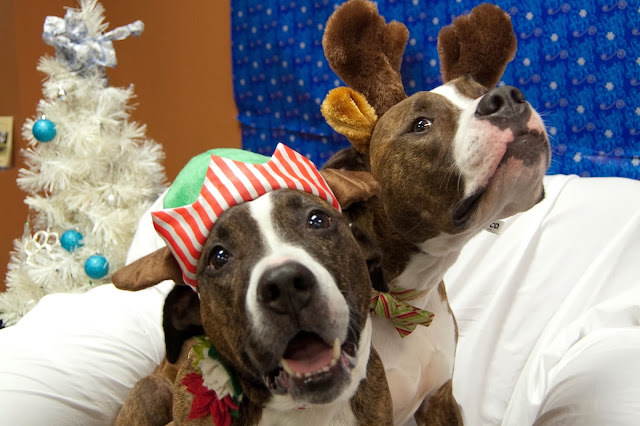 How do you get in the holiday spirit with your pooches? 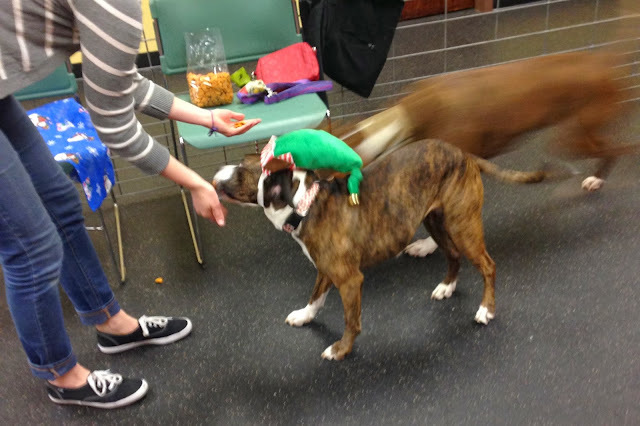 Poop bags are something that every dog owner is familiar with. We started to feel pretty guilty of throwing away so many plastic bags. We tried to poop scoop into a garbage bag, but not only did that make our garage super stinky, it was almost impossible to pick up when Edi had an upset tummy. 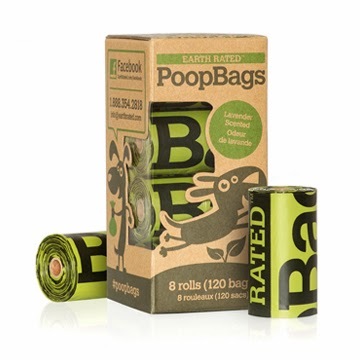 So we switched back to poop bags and decided to find an eco-friendly, biodegradable poop bag. We tried a couple cheap ones (again, we use so many), and as we have, unfortunately, learned from experience, poop bags are not an area you want to skimp -- many tears, leaks, and defected rolls later. We then found the mother of all poop bags -- Earth Rated. They were everything we were looking for, and more: thick and strong. While they aren't labeled "biodegradable" (because the US has different definitions), they are considered biodegradable in Canada (where they are the product of a small business!). They even have a 100% recycled paper core! We're seriously loving these bags. We even bought a 900-count box from Amazon. Although we're a little bummed that they aren't labeled "biodegradable," we are interested in trying their compostable bags! What's the scoop on your poop bags? During our walk yesterday, we were talking about how special the human-canine bond is. Fostered over tens of thousands of years, this bond is such a special one -- especially to those in modern day who know what it is to love a pooch. 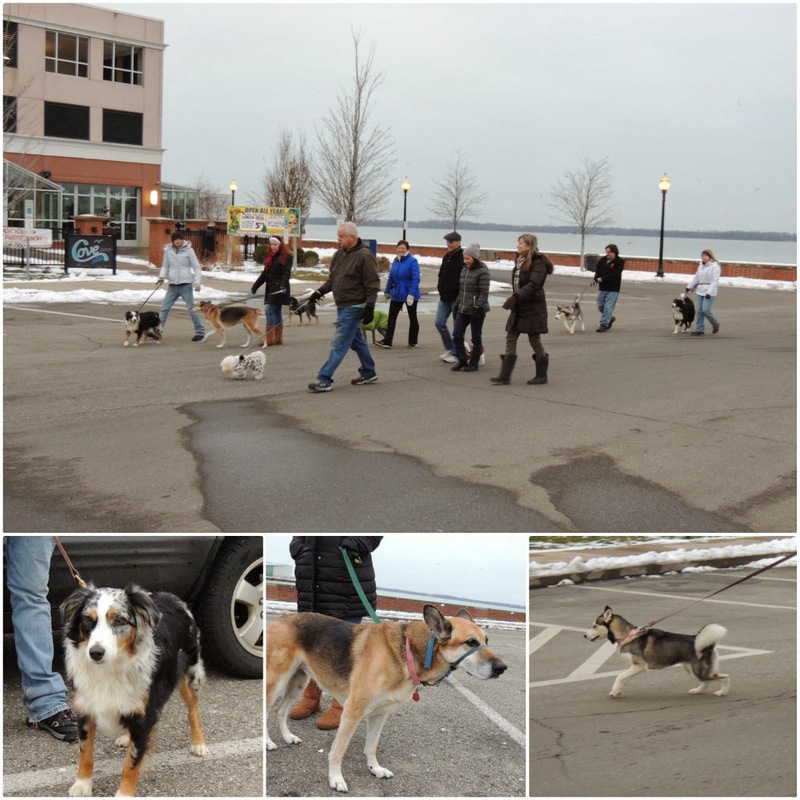 One thing we do know is that spending time together and learning to communicate effectively helps further the bond between our individual pooches and us. And what better place to do so than a pack walk! How do you improve on your relationship with your pooch? When I brought Tess home, all she had was a leash, collar that was too big, a crate that she wouldn't use, a brush that she was afraid of, bowls, and cheap-ish food. Fast forward 4 years and the girl has more clothes than I do! 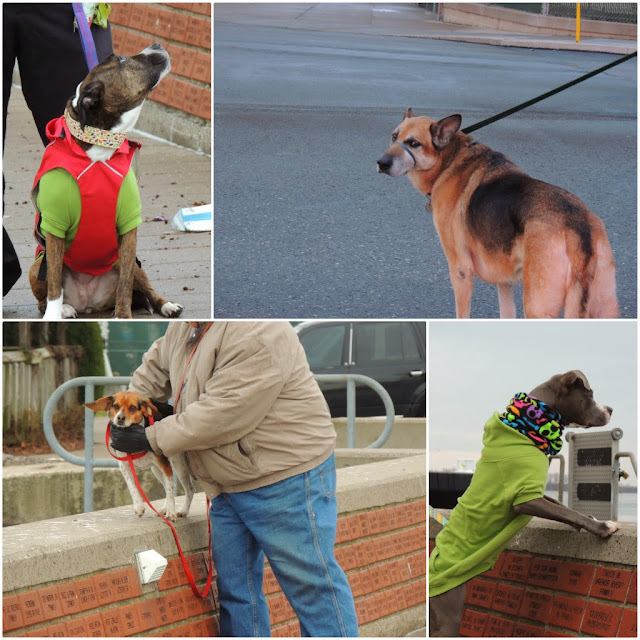 She's got snoods, sweaters, jackets, and tutus. We sometimes now struggle to keep it all corralled and organized! What did kind of "stuff" did you bring your pooch home with? How has that list changed over time? Living in Erie, you learn to work around the cold. 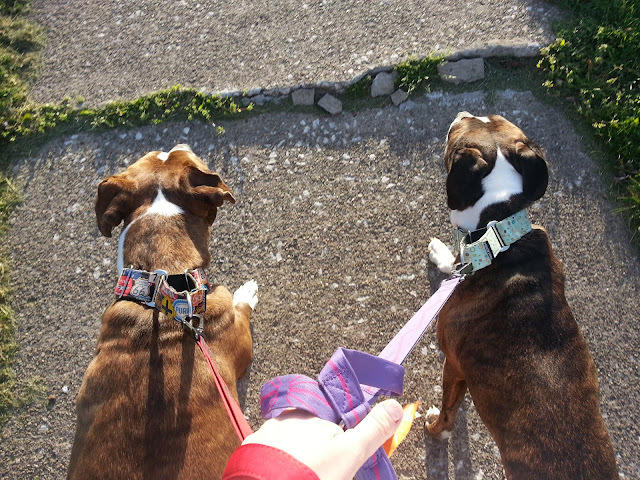 While we do have a backyard for those days we stay inside and snuggle, the pooches really do need walked. And we need to go to our PEDs walks. When I first got Tess, I didn't think twice about clothes -- they were just for small dogs. After our first walk together ended in me carrying my pitbull 4 blocks home when she refused to go any further, I quickly invested in a coat for Tessie. After spending too much on a coat that only lasts one season, we found these coats on a recommendation from the eskimos themselves. 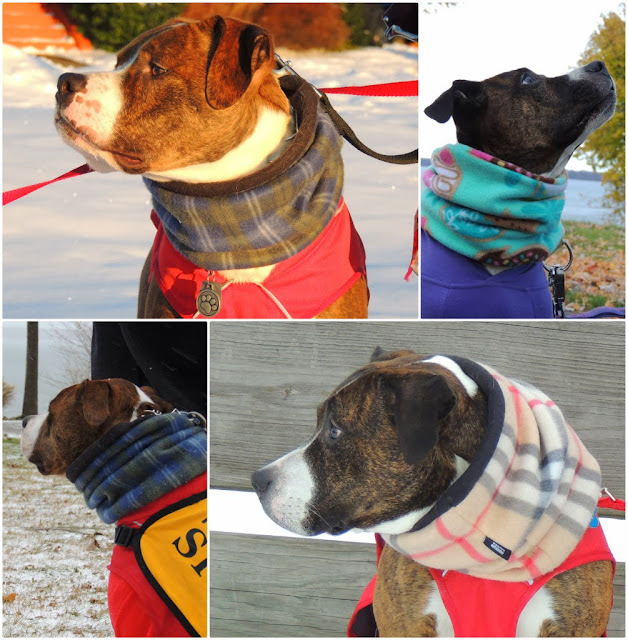 We love that they are high quality and actually cover the pooches bellies -- especially since Tesla's tends to hit the snow! On the extra cold days, we layer up with our favorite Zack & Zoey hoodies -- the only hoodie that fits around their barrel chests (isn't a foot too long). At a reasonable price, we can get these in a variety of coordinating colors. And we can't forget, of course, our Sirius Republic snoods. Seriously. We love these things. Not only do they add an extra layer of warmth, we get so many compliments on how cute the pooches look. And you know we love every opportunity to make our dogs approachable! 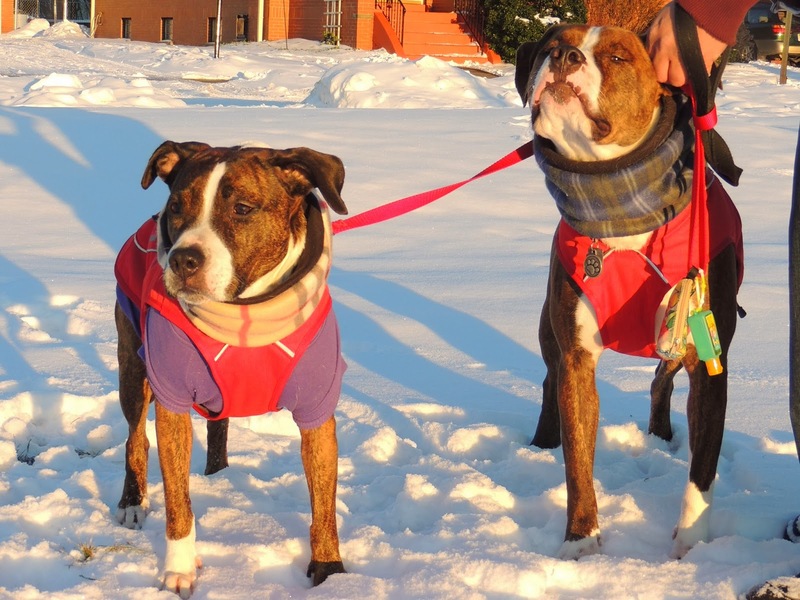 What are your "musts" when it comes to cold weather gear? 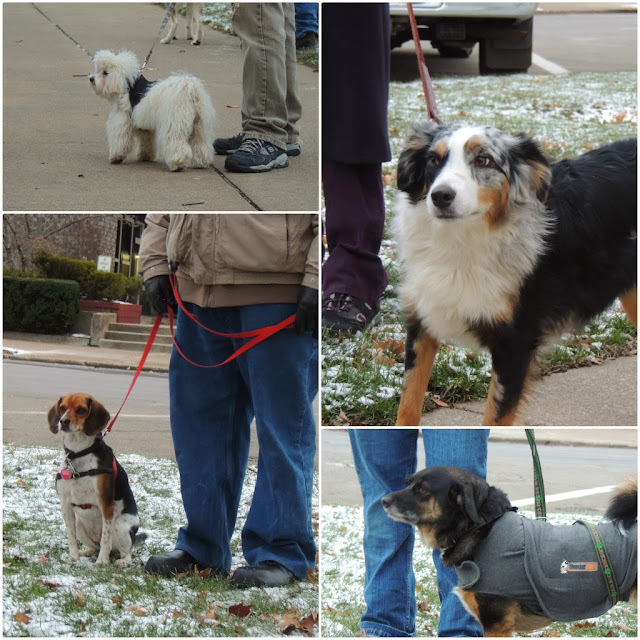 One of our newest members joined us for their first walk this weekend. She also happens to be the sister of our other members. 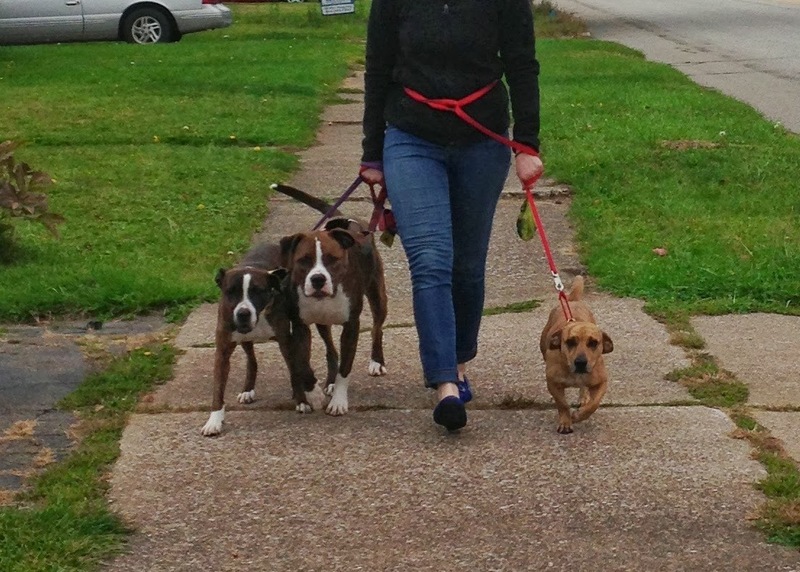 As their human wrote on our Facebook page: "Without Pack of Erie Dogs, I don't think we would have been able to have a second pup"
We are so happy to welcome their newest addition into our walking group as well! How did you know it was the right time to add to your family?